Stainless steel. 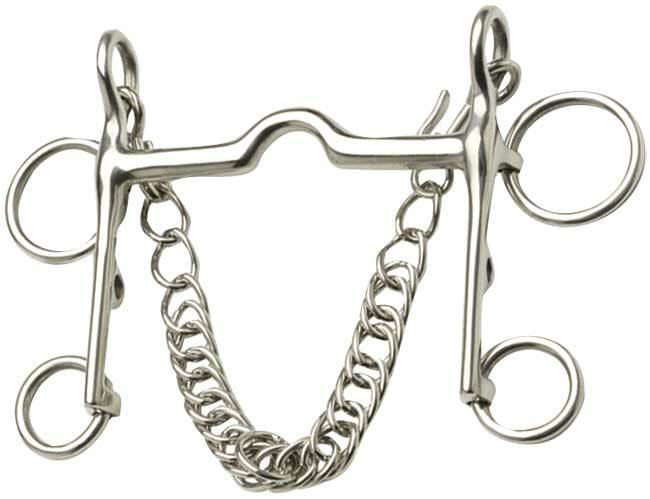 Ideal for the show hack that dislikes two mouth pieces. This model has the same action as a ported pelham bit, but with the look of a bit and bradoon due to the shank design. It comes complete with a double link curb chain.